The Gigabyte AERO 15-X9-RT5P 15″ Thin Bezel FHD Laptop houses some of the best-performing components that you can come by in a Laptop while still being reasonably slim and lightweight. The Asus VivoBook comes at an extremely reasonable price and lets you edit Projects that are not too high in resolution or complexity. Read on for more in-depth information on what you should be aware of when buying a Laptop for Video Editing. 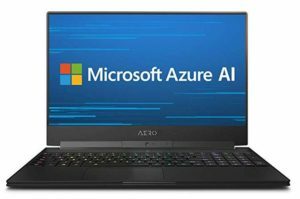 How do Performance and Size relate to each other in a Laptop? Why does it say “Gaming Laptop” everywhere I look? I want to do some serious work! Video Editing or cutting Film used to be a job for specialists, that required the operation of heavy machinery. This would be a job that you would have to train on for a long time, working side-by-side with a team of helpers. Today, everyone can be a Video Editor. After Moving Pictures went digital, it didn’t take long until the technology improved enough, making it possible for anyone to sit down in front of a Computer and edit their Videos. As Laptops became stronger and cheaper, Video Editing could be brought to the masses, with many Software companies such as Adobe, Sony, Avid, Apple & Microsoft competing for customers in their specialized Video Editing Solution. Some of the most popular Video Editing Software today is Adobe’s Premiere Pro, which is being used by beginners and experts alike. Adobe’s Video Editing app, as well as, Apple’s Final Cut or Sony’s Vegas or even Microsofts Movie Maker, fortunately, all work in very similar ways, which makes it easier for us to recommend Laptop’s that will work well with Editing Video in any kind of Software you choose. Because of its price, Editing Video used to be reserved for big Film productions like Hollywood Movies and TV Shows that could handle the cost. 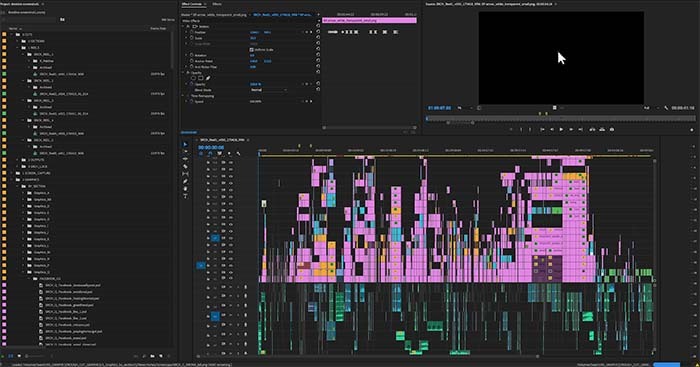 With Video Platforms such as YouTube being as popular as they are, there are a multitude of people who upload their own Videos that were edited on their own Computer or Laptops. Laptops can be quite powerful, but they will always be outperformed (performance-wise) by desktop Computers & Workstations. The reason, of course, is size. A desktop Computer has more room for Hardware components, so they can use more power and be cooled better. So, if you ever find yourself wondering if there is something that can increase your work-speed even more than editing on a Laptop, it’s editing on a high-end Video Editing PC. But, of course, not everyone needs a high-end PC, has the room for one or works at a single workplace. Some might need a few of the many benefits that come with a Mobile Device. Mobility is the first thing that comes to mind when opting for a Laptop vs. a Desktop PC. It is much smaller, weighs less, has an in-built screen, keyboard and touch-pad, and – as we all know – also brings its own power supply in terms of a battery, that lets you work away from a power outlet for some time. As we discussed earlier, Video Editing performance is increased by using a larger Device (because of power, cooling, and space) so it would seem to be safe to say, that bigger Laptops perform better than small Laptops. In part this is true. Bigger Laptops have more room for larger Batteries, that are then able to deliver more power longer or more performance in that same time. Bigger Laptops sport a larger Screen too, which can make it easier to work with. In addition, the Keyboard can have more Keys such as a Number-Pad in 17” Laptops compared to 14” or 15” Laptops which can be a life-saver in some Video Editing Apps. Sometimes big Laptops are just manufactured badly, and there has been invested no thought into the cooling layout or parts arrangement by the manufacturer. This is why the larger Laptop can be offered cheaper. Usually, the smaller a Laptop gets – while still keeping good performance -, the more research and planning has to be put into the manufacturing of the Laptop by the Laptop Company, inflating the price, which only makes it worthwhile for the Company to invest these extra resources into Laptops that will have high-end parts built in, that can then be sold for a higher price. There is little reason to invest lots of money into a Product that will then be sold for very little money, unless it will be sold often, or the margins are high. Bigger Laptops, like 17”, can usually be cooled better and the battery is bigger, which allows Laptops to house stronger components, also with added benefits of Screen and Keyboard. But Performance should be the real metric to make a decision on. More on that later. For Video Editing on a Laptop, I recommend going with either a 15.6” or a 17” Laptop. Especially the 15.6” Laptops represent a sweet spot, that combine a large enough Screen while still being portable enough and having room for higher-end components that can be cooled well enough, so they don’t have to be throttled too often. Choose 17”, if you rarely carry your Laptop with you and need more performance than a 15.6” can offer. As Laptop Manufacturers usually make good use of the available space in a Laptop chassis, the larger the Laptop, the more it usually weighs. Battery and Cooling make up most of the weight in a Laptop and they sort of go hand in hand. A larger battery can offer more wattage, which means more performance for the in-built components, which means more required cooling. Another thing to note is that larger and high-performance Laptops can come with an external PSU that is a lot heavier than with smaller Laptops. This means you have the heavy external PSU on the charging cable in addition to the Laptop to carry around when you move your workplace. What many people do is buy additional charging cables and Power Supply Units (PSUs) to have at their home and workplace, so they don’t have to be carried around every time you move your Laptop. You might want a lower-end, smaller and lightweight Laptop to carry around, but have additional Monitors, Keyboard, and Mouse available at the places you usually work at. That way you carry your Data with you but utilize additional Devices that are stationary. For working on a commute or in remote places, of course, this is not a solution. As mentioned above, the type of device with the highest performance potential to edit Videos on is a desktop PC. This is all because of size. The more Performance a Hardware component is supposed to deliver, the more power it draws, meaning it has to be cooled more. Making both the PSU (or battery) larger and the Cooling larger. The type of cooling I am talking about here is using a block of heat conducting metal that tries to spread the heat of a component (e.g. CPU) over a larger area to transfer it to its environment, mostly air. This passive cooling can be improved by using a fan (active cooling), which pushes air over and across this passive cooler, transporting the hot air away from the passive cooling block, making room for cold air to be heated again and again. This cools the hardware component even better than passive cooling, with the added problem though, that the Fan makes lots of noise. So we might be able to reduce the Cooler size a bit, but trade size for noise. The initial problem remains, if we want more performance, we either have to be satisfied with getting a larger Laptop and/or a louder Laptop OR be ok with having our hardware throttled a bit at times. As Video Editing is a process that demands a lot of performance from the Laptop, your Battery will, of course, drain much faster than when browsing or streaming a Movie. Most Laptop Manufacturers state the Laptop’s Battery Life on the Product Sheet (which is usually around 8 – 15 hours) but beware that this is measured while only doing very low-performance tasks such as browsing and text-editing. You can easily divide that by 3 or more, to get the Hours of high-performance Video Editing. On no Laptop would I expect to be able to do more than 3 Hours of intensive Video Editing on the in-built battery alone. When editing Videos, chances are high, that you will be doing some color-correction and grading on your footage too. This can only be done to a high standard when your Laptop screen displays the Colors correctly, evenly and has a high enough resolution. There are two main types of so-called “panels” that Laptops usually house. The TN panel and the IPS (In-Plane-Switching) Panel. Although TN panels have a lower response time for changing pixel values, this is only important in tasks such as high-end gaming. For Video editing though, the IPS Panel is the way to go, as these panel types have a much better color display and contrast ratio. They do come at a slightly higher price than TN-Panels, but are worth the extra money. There are two main Types of Display Resolutions for Laptops that you should be considering: 1920×1080 (2K) and 3840×2160 (4K). In a Laptop, as you are usually editing on a single Monitor, you will have to get as much information on that single screen as possible. Your Footage, the editing timeline and a lot of other Menus, UI & Effects Panels that help in your editing process. Maybe even some reference Images and Sound editing controls. Anything below a 2K resolution will not let you display all of these on-screen. 4K, of course, will give you a lot more room for your User Interface, but beware that all your Menu fonts and icons will get a lot smaller too, sometimes so small, they strain your eyes and exhaust you a lot faster than working on a 2K Screen. Microsoft Windows does have a thing called “Display Scaling” that lets you scale up small fonts on high-resolution Displays, but this has to be supported by your Video Editing App too and doesn’t always work well with every 3rd-party Software. You might want to check this before going the 4K route. Let’s face it: Sound on Laptop’s will never be satisfactory. Especially the lower-end audio spectrum lacks a lot of “uuhmpf”, and this comes at a reason. Because low-frequencies need a large speaker-membrane to be generated, due to size-constraints you just can’t fit large enough speakers or a large enough resonance-area into a Laptop. The only way to do professional audio-editing and -listening on a Laptop is with Headphones or in-ears, that are close enough to your ear to get away with producing even low-frequency sound at a very low volume. Of course, it would be nice to show a version of an edited video to a client or colleagues, directly on the Laptop with Sound, but without external speakers, this will be a sub-optimal experience in almost all Laptops. Talking about Head-Phones, a Head-Phone Jack should belong to the standard repertoire of any Laptop for Video Editing. Mobility and Multimedia are important, but what it really gets down to at the end of the day, is Raw Video Editing Performance. The CPU is the single most important Hardware component in Video Editing. Although many CPU Manufacturers advertise the Number of CPU-Cores much more than the CPU-Clock-Speed, Video Editing benefits more from a CPU that clocks high compared to a CPU that has a lot of Cores. For Video Editing on a Laptop, the currently best CPU’s come from Intel with the Intel i7 8750H, i7 8850H, and i9 8950HK. The Intel i5 8400H and 8300H too can be enough for some Video-Editing tasks that are not quite as complex. AMD, unfortunately, is still playing a bit of catch-up in terms of CPU Performance in Laptops, but the closest you can get to a good AMD Video-Editing CPU is the AMD Ryzen 7 3700U, that has 4 Cores and a base-clock of 2,3GHz. Because of its 6 Cores / 12 Threads, great single-core Turbo clock and performance, the currently best-performing CPU for Video Editing on a Laptop is the Intel i9 8950HK. Laptops with this CPU though usually come at a premium price, so if you are looking for a more budget-friendly version of that CPU, consider the i7 8750H, which is still excellent but a lot more moderately priced. Although Video Editing seems to be a very graphically intensive task, the Graphics Card is actually not utilized as strongly as one would think. Sure, there are some Effects that a good GPU can speed up, but most of the heavy lifting is done by the CPU. Decoding Footage and Effects Calculation is a CPU’s job, while the Graphics Card very seldom gets to do tasks more demanding than displaying Program Interface and Footage to the inbuilt Laptop Screen or external Monitors. There are other Tasks such as 3D GPU Rendering or 3D Gaming, that are much more demanding on the GPU. 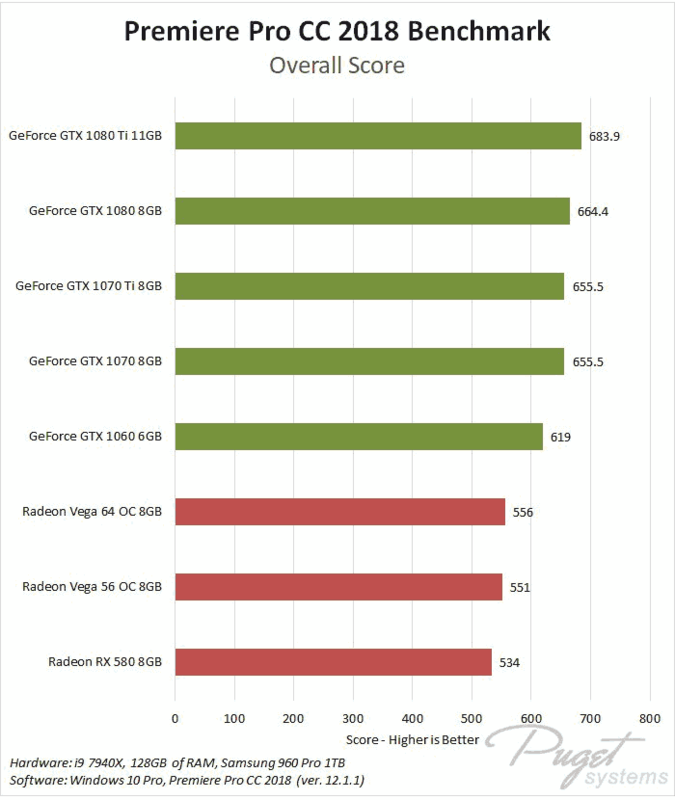 I recommend starting with at least an Nvidia GTX 1060 for Laptop-Buyers with a smaller budget, and going with an Nvidia RTX 2060 or even an Nvidia RTX 2070 for those who have some more money to spend. Editing Videos is a task that can demand a lot of RAM. Smooth real-time Editing is the ultimate Goal, and this can only be done when most of your footage and applied Effects can be cached into your System’s Memory. The higher your Footage and Project Resolution are, the more RAM you will need for a smooth Video Editing experience. But how much Ram do you really need for Video Editing? A good baseline for 2K Editing on shorter Projects is 16GB of RAM. That said, though you might be much happier with having 32GB of Ram in your Video Editing Laptop, especially when your Project Resolutions get higher, you use more Effects, or edit on a lot more Footage that might also result in longer Project-Timelines. Each of these Storage devices has some pros and cons that you should be aware of before choosing your new Laptop for Video Editing. The Hard Disc Drive is the currently cheapest Storage Type when we measure the Cost per Terabyte. A Terabyte of HDD Space currently costs around 22$. As cheap as an HDD is, it unfortunately also is slow in read- and write-performance of Data to and from the disc. Typical Speeds of sequential reading and writing are around 100Mbyte/s. HDDs are best used for Backups and Footage or Project Archiving, that are not actively being worked on. Solid State Discs come in at around 100$ / Terabyte. They are 5 times as expensive as HDDs, but fortunately also 5 times as fast. A typical SATA SSD can read and write at about 500MByte/s sequentially. An SSD is usually great for having your Operating System and Software run on. 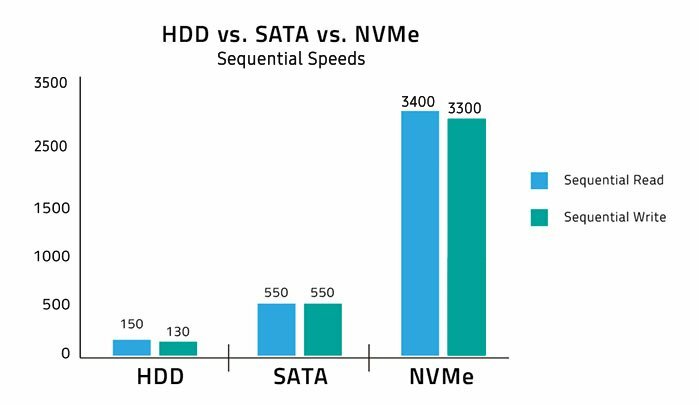 This type of Storage should optimally be used for your Project Files and Footage, as it is blazingly fast for real-time reading of your Footage. Ideally, a Laptop for Video Editing will have at least two of the above-listed Storage Devices. A large HDD for longer-term storage and archiving and either a smaller SSD or smaller NVME SSD for active projects. An ideal Laptop for Video Editing should be able to drive some external Devices that you either carry with you or have waiting for you at your typical work-areas. This usually includes a Keyboard, Mouse and external Monitor, a Tablet and external Speakers. An external Hard-Drive and Headset or Headphones are two more Devices that almost anyone will have to use while editing. At a minimum, therefore, your Video Editing Laptop should have 3 to 4 USB connectors, either a Display Port or HDMI Plug and a Headphone Jack for Line Out and Mic in. This Laptop is the Allround-King of Mobile Video Editing. It has a 15.6” IPS Level Full-HD Display which is Anti-Glare and has an excellent Color and Contrast Ratio. At 4 pounds you can easily carry it with you at all times, while still having top-end Video Editing performance: The Intel i7-8750H CPU makes your real-time editing snappy and smooth, while the 6 Cores / 12 Threads accelerate Multi-Processing Tasks such as Encoding and Decoding of the Footage. 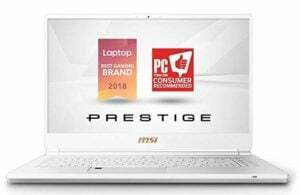 The MSI P65 Creator has an Nvidia GTX 1070 Graphics Card with 8GB of VRAM, more than enough for boosting CUDA-based Effects Calculations and driving two extra Monitors via HDMI and Mini Display Port Connectors. 32GB of RAM should keep you more than happy for all kinds of project-complexities, even such as 4K Editing of 10Bit RED Footage or Projects that have a long editing Timeline. The in-built 512GB of NVME SSD Storage, offers excellent read and write speed for loading and saving your Footage in Realtime and should be enough space for storing some projects before having to add additional external Drives. Additional Connectors include 2x USB 3.1 Gen 1, 1x USB 3.1 Gen 2, 1x Type-C (USB3.1 Gen2 / DP / Thunderbolt™3), Mini Display Port, HDMI, RJ-45 LAN, and a Headphone and Mic Jack. 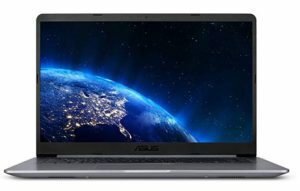 The Asus VivoBook comes at an extremely reasonable price and lets you edit Videos that are not too high in resolution or complexity. This is the perfect Laptop for starters, who want to edit self-made Videos for YouTube or other online Platforms when extreme editing speed is not of utmost importance, and your paycheck does not rely on you having a Video-Edit done by the end of the day. The Asus VivoBook houses an Intel Core i5-8250U CPU with 4 Cores at 1.6GHz base clock and a Turbo of up to 3.4GHz. 8GB of RAM and a 128GB SSD let you cache and edit less complex projects in up to real-time and the additional 1TB Storage HDD sports more than enough room for saving your projects and backing up lots of revisions of your files. It comes with a 15.6” Full HD Display, and a bunch of Connectors for external devices: 1x USB 3.1 Gen 1, 1x USB 3.0, 2x USB 2.0, HDMI, Microphone/Headphone Jack, and an SD-Card Slot for directly transferring your footage to your Laptop. At 3.7 pounds the VivoBook is extremely lightweight. The in-built 802.11.ac Wifi and Windows 10 Home OS complete the very budget friendly impression of the Asus VivoBook. The Gigabyte AERO 15-X9-RT5P 15″ Thin Bezel FHD Laptop houses the best components that you can come by in a Laptop while still being reasonably slim and lightweight. It sports an Intel i9-8950HK CPU with 6 Cores / 12 Threads, that clock up to 4.9GHz for excellent real-time Timeline Editing Performance even with some of the most complex projects. Rendering out your Project to an encoded Video File doesn’t get any faster on a Laptop. 32GB of RAM and a 1TB Intel 760P NVMe SSD make reading and caching of your Project Footage an extremely fast experience and the SSD lets you save quite some Data before having to add additional external Drives. The newest Nvidia RTX 2070 Graphics Card generation is built into the Laptop, accelerating your Viewport Speed and Effects calculation. The 15.6” 3mm Ultra-Thin Bezel Display is an IPS Anti-Glare Panel rated at 100% Adobe RGB and has a UHD resolution of 3840×2160 pixels (4K). It very surprisingly weighs only 4.5 pounds and has an in-built SD-Card Reader. Additional Ports include an RJ-45 Lan Connector, 2x USB 3.1 Gen 1, 1x USB 3.1 Gen 2, 1x Thunderbolt 3 Type-C USB 3.1, HDMI and Display Port and a combo Audio Jack. Almost every Laptop has the Word “Gaming” in its title. This, of course, doesn’t mean you can only game on it. The Gaming community is just one of the biggest target groups and “most-eager-to-buy”. This is why most marketing is oriented at Gamers. 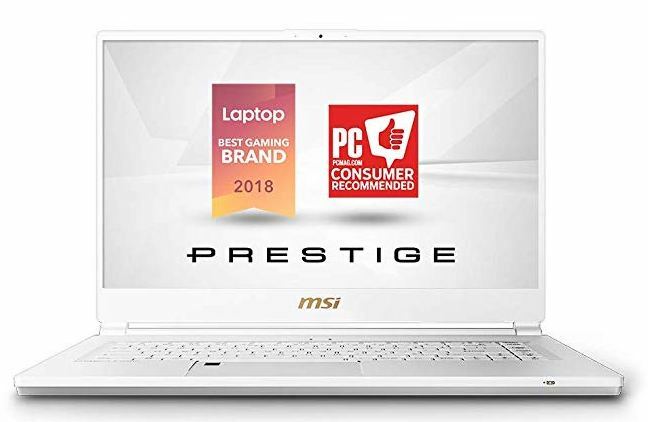 Laptops that can be gamed on, though, can also very well be worked on, with Video Editing being one of the many things you can do excellently on “Gaming Laptops”. 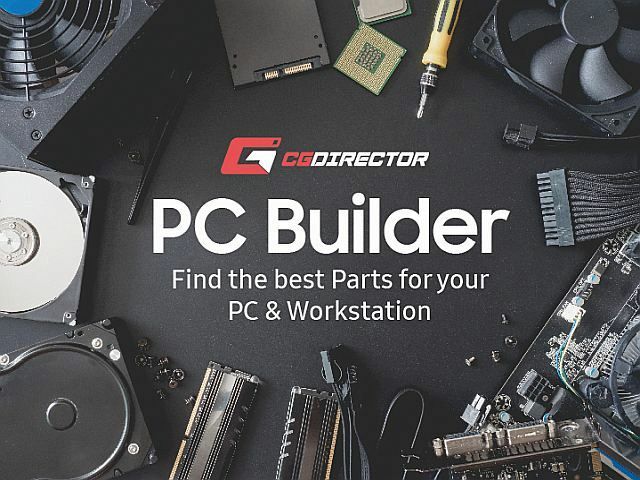 If you haven’t quite found the right Laptop for you, head on over to the Custom PC-Builder Tool, that also recommends Laptops for your specific use case and budget. That’s about it! What kind of Laptop are you thinking of buying? Feel free to ask for help in the Comments.